I hope you’re all having a great weekend? I spent the weekend chillaxing with friends, working out and eating out at some of my favourite restaurants. 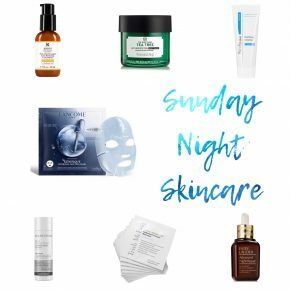 This weeks Sunday Night Skincare post is all about products I highly recommend to treat and prevent blackheads. The first of which is a product I’ve used for over ten years and is arguably the best product I’ve ever used for distinguishing blackheads, The Body Shop Seaweed Oil-Balancing Clay Mask. 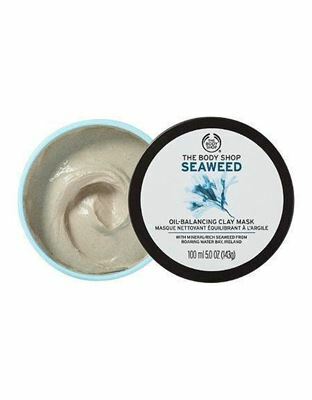 The Body Shop Seaweed Oil-Balancing Clay Mask is a deep-cleansing mask treatment with algae extracts and a natural ionic clay that draws impurities from the pores and absorbs excess oil. It’s enriched with minerals (particularly magnesium), iron and calcium along with a 100% natural clay complex to condition and revitalise the skin. To use apply to clean, dry skin, leave to dry for up to ten minutes then remove with warm water and a sponge/ facial cloth. You can see visibly see the blackheads that have been drawn from the skin as they appear as little oily dots on the chalk like surface of the mask once it dries out. It’s priced at €22.50 and you can pick it up from The Body Shop stores nationwide. Next up I want to recommend the Clinique City Block Purifying Charcoal Clay Mask + Scrub. It’s a 5-minute dual-action detoxifying and exfoliating clay mask that purifies and polishes skin for a delightful deep-clean treatment. Natural bamboo charcoal and kaolin clay help remove pollution and impurities, while natural silica beads gently refine skin texture. Similar to The Body Shop Seaweed Oil-Balancing Clay Mask, the Clinique City Block Purifying Charcoal Clay Mask + Scrub changes colour during usage. It appears as a dark blue as you apply it and turns pale blue as it dries. 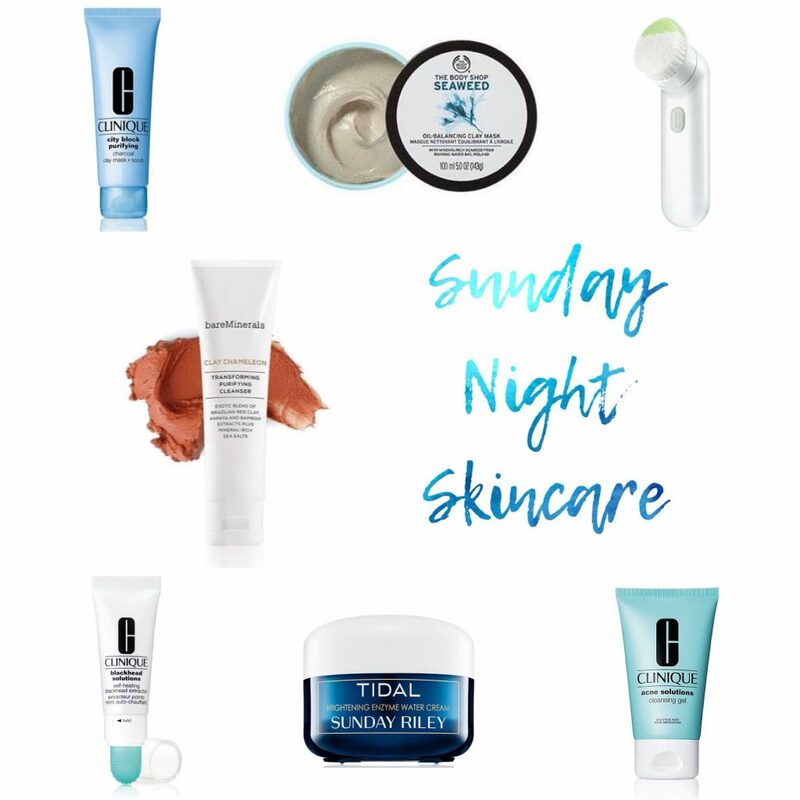 To use apply generously to clean skin avoiding the eye area, leave on for 5 minutes or until the mask turns pale blue then remove with warm water whilst massaging in circular motions to exfoliate. Recommended usage is 1-2 times per week. 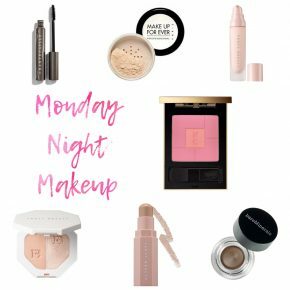 It’s priced at €38 and you can pick it up from Clinique counters nationwide. I also find the Clinique Blackhead Solutions Self-Heating Blackhead Extractor amazing for removing blackheads. It’s a self-heating treatment that provides a 93% reduction in blackheads within six weeks. This gentle yet effective treatment extracts blackheads without pain or damage to the skin. When mixed with water the unique formula develops a warming sensation that gently opens clogged pores for an easy removal of blackhead-causing dirt, oil, and debris. 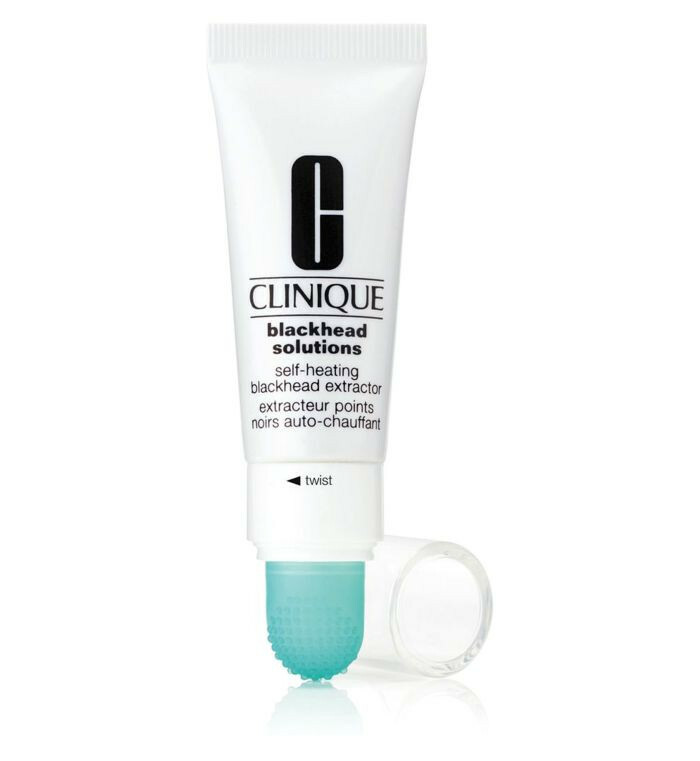 It smooths the way for clearer, softer, shine-free skin and prevents future blackheads from developing. 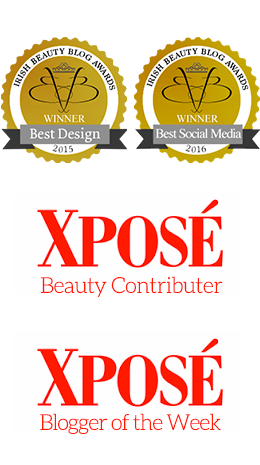 It’s priced at €26 and you can pick it up from Clinique counters nationwide. 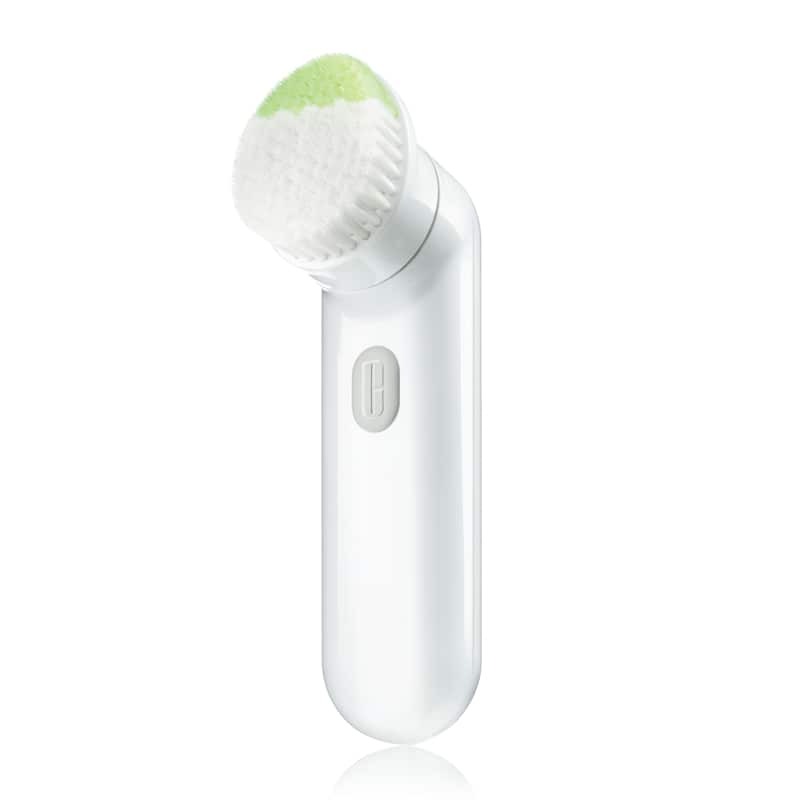 To help prevent future blackheads I also use the Clinique Sonic System Purifying Cleansing Brush periodically with the Clinique Acne Solutions Cleansing Gel. This innovative sonic facial cleansing brush is dermatologist-developed, waterproof and is suitable for all skin types. The sonic movement offers deep yet gentle cleansing whilst the angled tip targets the t-zone and other hard to reach areas. 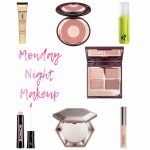 It works to gently lift makeup, dirt and oil and makes your 3-step routine more effective. It’s priced at €89 and you can pick it up at Brown Thomas or other Clinique stockists nationwide. 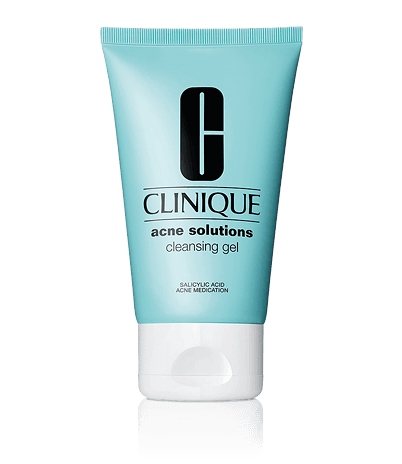 The Clinique Acne Solutions Cleansing Gel is a lightweight, foamy gel cleanser which works to clear blemishes and prevent future breakouts. This medicated, oil-free foaming cleansing gel with Salicylic Acid helps clear breakouts and blackheads, unclogs pores and helps control oil. Skin feels fresh, soft, calm and smooth after use. 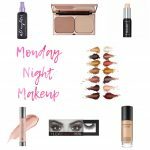 It’s priced at €25 and you can pick it up from Clinique stockists nationwide. 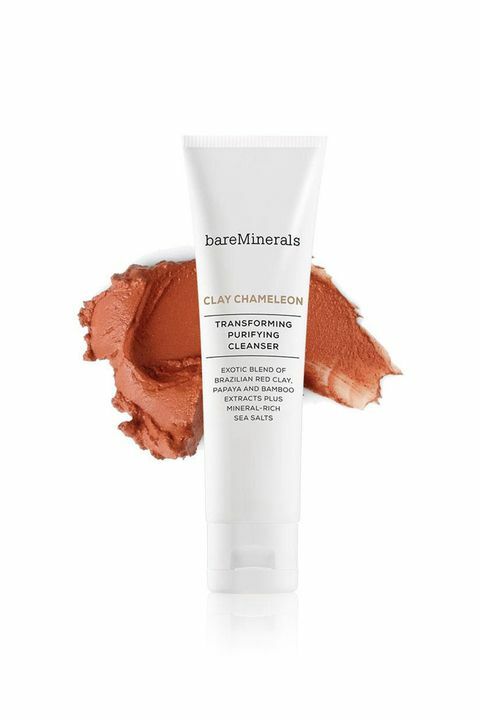 I also love the bareMinerals Clay Chameleon Transforming Purifying Cleanser. This innovative clay-to-cream facial cleanser combines the benefits of purifying Brazilian Red Clay and mineral-rich Sea Salts with the soft comfort of a cream. Enriched with Papaya and Bamboo Extracts, the unique formula works to gently remove impurities and help detoxify skin leaving it feeling pure, soft and supple. This skin-enlivening formula is also infused with the scent of Bergamot and Mandarin to uplift the senses each time you cleanse. To use apply a small amount to dry skin, massaging in a circular motion. Once you begin to see the clay transform to white cream, dampen fingertips and continue to massage. Remove with of warm water. Lastly I’d recommend using a gel formula moisturiser when trying to keep blackheads at bay. You don’t want to use anything really rich or oily if you’re already somewhat oily as this will clog your pores further. 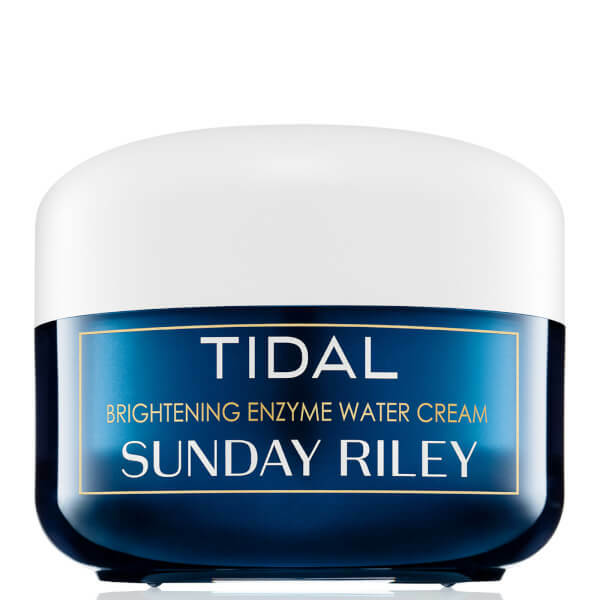 I’d recommend the Sunday Riley Tidal Brightening Enzyme Water Cream. It’s an advanced brightening and refining treatment brimming with hyaluronic acid, which retains up to 1000x its own weight in water, to optimise hydration. Papaya enzymes gently resurface eliminating dulling dead cells to reveal the more luminous skin cells beneath while alpha-arbutin and giant white bird of paradise extract combine to brighten hyperpigmentation spots and restore uniformity of tone. The featherweight formula is instantly absorbed maintaining moisture levels without exacerbating congestion, keeping skin comfortably supple and dewy from morning ’til night. 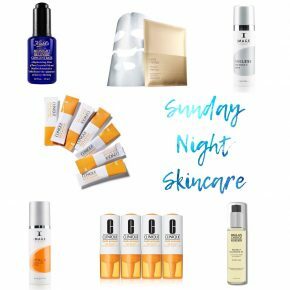 You can pick it up online at Cult Beauty.